Scientists in Germany and Austria have just made an enormous breakthrough in the field of quantum computing. 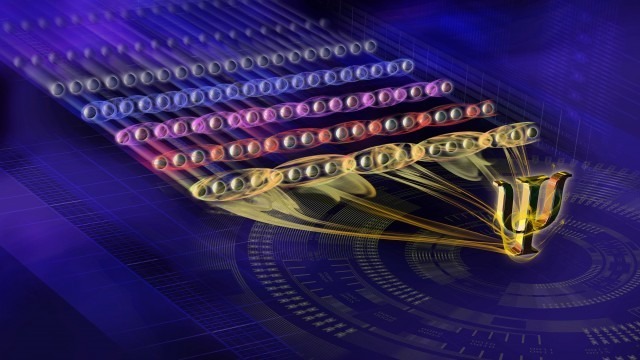 Using a record system of 20 quantum bits, physicists have achieved a new entanglement record: the largest entangled quantum register of individually controllable systems in history. For those left scratching their heads, you’re certainly not alone. Quantum computing’s main divergence from traditional computing is the way information is stored: one ‘unit’ can hold far more information than its classical counterpart. Quantum computers are also faster and more secure than the computers you and I are acquainted with, and entanglement is central to the development of such computers. In quantum physics, “entangled” particles are connected to each other meaning that any action performed on one particle affects the behaviour of the other, even if they’re separated by vast distances. If, for example, you measure the “up” spin of a photon in an entangled pair, the spin of the other will measure as “down”. Albert Einstein called entanglement “spooky action at a distance” and he had trouble reconciling the theory as it suggests information between the two particles can travel faster than the time it takes for light to pass from one particle to another.